Several species of ticks are significant human disease vectors. 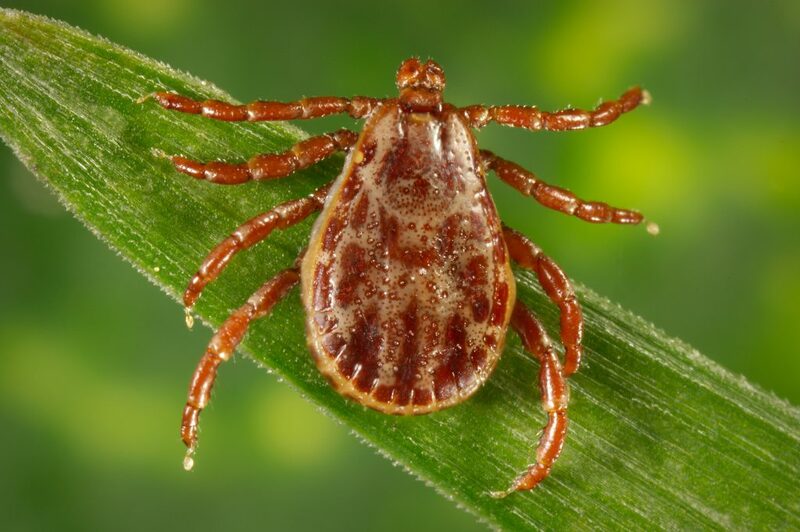 The three species of concern found in Ohio are the American dog tick, which carries Rocky Mountain Spotted Fever (RMSF), the Black-legged tick (also known as the deer tick), which carries Lyme disease, and the Lone Star tick, which is a vector for Ehrlichiosis. Ticks are small, have an oval, sack-like body, and eight legs. Ticks are not insects. Ticks are a species of mite and belong to the Arachnid family. They feed on the blood of mammals, birds, reptiles, and amphibians. 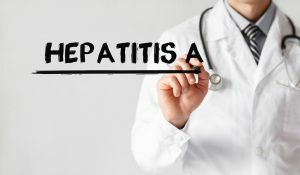 They transmit diseases mainly from their bite, but infected body fluids and secretions can also transmit diseases. All ticks are not infected with the disease. Ticks go through an incomplete metamorphosis, that is, they have no pupal stage. Larvae hatch from an egg, turn into a nymph, which resembles a small adult, and molt several times before becoming a full-sized adult tick. After hatching, the larvae find a small animal to use as a host, and feed for a few hours, or a day. The larvae turns into a nymph, the nymph finds a larger host, feeds for several days, drops off the host, and then molts. The nymph becomes an adult tick and finds a still larger host. In general, ticks climb progressively higher as they develop, and so find a larger host than they had during the previous stage. Ticks find a host by climbing vegetation, stretching out their front pair of legs, and waiting for a host to pass. If heat or carbon dioxide is detected from a potential host, the tick will seek out the host. As the host passes by, claws located at the tips of the tick’s legs grab hold of the host, and the tick moves to a place where it can gorge. Adult ticks usually contact people on the lower portions of the body, and crawl upwards until stopped by tight clothing, or until they reach the head. The adult American dog tick is slightly over 1/8 inch long. The adult female is brown with a pearly-light shield on the front of its back. Males have brown backs with pearly streaks. With a good food supply, the American dog tick can complete its life cycle in three months. The female lays up to 6,500 eggs in late summer. Warm springs promote early activity. RMPF is an acute infectious disease caused by a bacteria. The symptoms include pain in the muscles and joints, fever, and spotty, red skin eruptions. A rash on the wrist and ankles occurs on the second to the fifth day after infection. This is the most consistent symptom of RMSF. Often aching in the lower back, and headaches will occur. The victim will feel very tired and can have fevers of 104 to 106 degrees. Disease transmission does not begin until four to six hours after attachment. If the tick is removed during this non-infective period an infection will not occur. However, any tick attachment should be noted, and the victim observed for symptoms. Seven hundred and forty-one case of RMSF were reported in Ohio from 1956 to 2001, with eighteen deaths. There were two cases reported in Clermont County from 1997 to 2001. There has been a decline in the mortality rate of the disease, probably due to increased public awareness, but the risk of infection has not changed since the ticks that transmit RMSF are still abundant in Ohio. The Black-legged tick, or deer tick is unlike the American dog tick. Adult ticks are the size of a sesame seed. The nymphs are the size of the head of a pin. The nymphs and adults feed on humans. Ninety percent of the human Lyme disease cases are caused by the nymph. The nymph is tan with black legs and has a black shield near the front. The adult female is brick red with black legs, and also has a black shield. The male is entirely dark and is smaller than the female. Black-legged ticks have a two years life cycle. The eggs are laid in the spring by overwintering females. The larvae hatch from the eggs and feed on mice. The larvae overwinter and molt into nymphs the following spring. The nymphs are ready to feed in May or June. Nymphs usually molt into adults in late summer, but sometimes overwinter, and molt in the spring. The nymphal activity coincides with human outdoor activity, and human cases peak in July. The adults feed in late fall or spring, but also bite on warm days in winter. Lyme disease is caused by a bacteria. The symptoms vary and may mimic other diseases. In 60 to 70 percent of all cases, a rash appears from 3 to 32 days after transmission. The rash looks like a red ring located at the site of the bite, but it is not uncommon to find the rash at multiple sites. The rash disappears within three weeks but can reoccur. Other symptoms may include hives, redness under the eyes, swelling of the eyelids, and reddening of the eyes. There may also be flu-like symptoms and swollen glands. 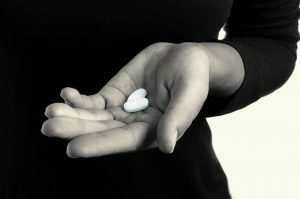 Immediate antibiotic therapy reduces the risk of developing chronic symptoms. In untreated victims, a second set of symptoms occurs four to six weeks after transmission. Over half experience arthritis of the large joints, either intermittently or chronically. Ten to seventy percent of victims experience symptoms including a severe headache, stiff neck, facial paralysis, weakness, and possibly pain in the chest, or in the extremities. A chronic case may have a wide range of arthritic, cardiac, and neurologic symptoms. Chronic symptoms may develop months or years after infection occurs. Disease transmission does not occur until 10 to 12 hours after attachment. If the Blacklegged tick is removed within that time, then no infection will occur. However, the attachment should be noted, and the victim observed for symptoms. Two hundred and thirty-five cases of Lyme disease were reported in Ohio from 1997 to 2001, 43 cases in 2001 alone. One case was reported in Clermont County from 1997 to 2001. Lyme disease has not been proven to be endemic in Ohio, but this does not mean that the disease cannot be contracted in Ohio. The adult female Lone Star tick is brown with a white spot in the center. The males are mottled brown without a white spot. All three stages of the Lone Star tick will attack people. These ticks are associated with cattle and deer, so there is an increased risk around large cattle and deer herds. These ticks carry Ehrlichiosis, but can also carry RMSF. The symptoms of Ehrlichiosis may resemble the symptoms of RMSF. The onset of symptoms is 1 to 21 days after infection. The characteristic symptoms are high fever and headache, but may also include malaise, muscle aches, vomiting, and anorexia. A rash similar to that seen in RMSF is present in about 20 percent of the cases. The first case of Ehrlichiosis was diagnosed in 1986. It has been a notifiable disease since 1998. The incidence of the disease is uncertain, but it is suspected to be at least as common as RMSF. No cases of Ehrlichiosis have been reported in Clermont County. The bacteria that cause RMSF, Lyme disease, and Ehrlichiosis are transmitted in the saliva while the tick is feeding. The period between attachment and commencement of feeding is important to the prevention of infection. Early detection and prompt removal of the tick will help to prevent infection. Care should be exercised when removing ticks. If squeezed, the tick may involuntarily inject bacteria. Secretions and tick feces may also be infective, so it is best to avoid touching the tick. Grasp the tick as close to the skin as possible using fine-tipped tweezers or with fingers shielded by tissue, or rubber gloves. Pull gently but firmly straight out until the tick pulls free. Wash the bite with soap and water, then apply an antiseptic. Do not jerk or twist the tick, as mouthparts may be left in the skin. Do not crush or puncture the tick during removal. Do not use a hot match or cigarette, as this may cause the tick to burst. RMSF may be contracted from infected tick body fluids that come in contact with broken skin, the mouth, or the eyes. In order to prevent tick bites try to stay away from tick-infested areas. Wear long pants and long-sleeved shirts. Inspect the body and clothing periodically, and immediately remove any ticks found. If attached, use the proper procedure for the removal of ticks. After returning home, thoroughly inspect the body, clothing, and other items. Immediately remove and destroy any ticks not attached. Inspection of the body by another person is helpful because ticks can be overlooked with a self-inspection. It is important that ticks be removed before infection occurs. The bite of a tick is painless, and one doesn’t usually feel it when the tick is biting. Ticks can be safely disposed of by placing them in a container of oil or alcohol, sticking them to tape, or flushing them down the toilet. One of the best methods of tick control is keeping grass and brush cut in inhabited areas. Cutting grass and brush reduces the cover. The reduced cover raises the ground temperature and lowers the humidity so the ticks dry out and die. It eliminates suitable habitat for the immature (larval & nymphal) tick stages, and for tick hosts of the immature stages, such as mice and voles. Another good method of tick control is to limit the access of dogs to tick habitats. Dog control is important to reduce tick infestations. Keep stray dogs out of the yard. Homes and yards can be infested by dogs that drop engorged female ticks. Dogs should be de-ticked daily by an adult. Areas, where dogs sleep, should be checked, and dog bedding should be washed frequently. Pesticides can be used to control ticks indoors, and outdoors. Pets can be treated using dips, washes, or dusts. Fleas an tick collars can be used, but their effectiveness varies. Pesticides can be applied indoors in cracks and crevices, around door frames, in dog boxes, and in other places they are likely to be hiding. If pesticides are used outdoors apply to the sides of paths and spray low vegetation thoroughly. Clermont County Public Health regulates high grass and weeds under the Public Health Nuisance Regulation. Public Health does not cut grass, and has no equipment to do so, but can order property owners to cut grass on their property if a violation of the health nuisance regulation has been found.